I became interested in material wear after seeing the Belgian Pavilion at the 12th Venice Architecture Biennale. Their exhibition looked at material wear in an architectural setting. They brought attention to how materials age, and how the material evolved as it was used over time. I realized that most of my projects neglected the interaction between the object and time so I looked around for products that had a long lifetime of use. 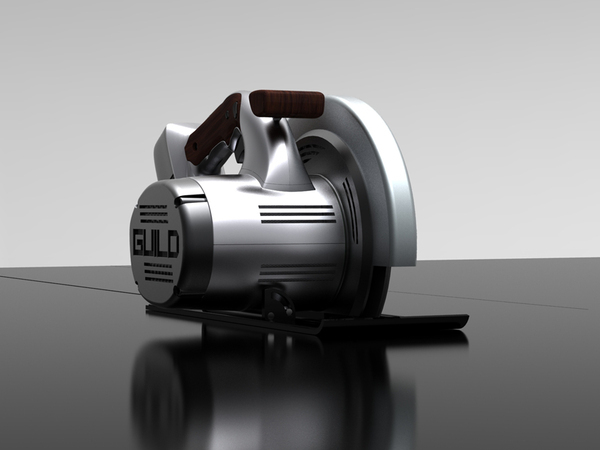 Most contractor grade power tools come with lifetime warranties so I decided to develop a line of power tools designed to age and improve with use.